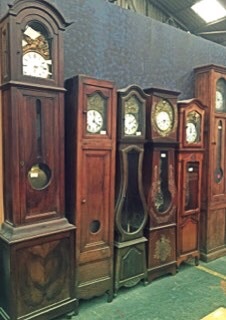 These grandfather clocks caught my eye in the back of a hall filled with French antiques near Giverny. I take lots of pictures of things I see during my trips to paint when I return home. I let the picture percolate in my brain until an idea for a painting pops out. They don't make clocks like they used to.